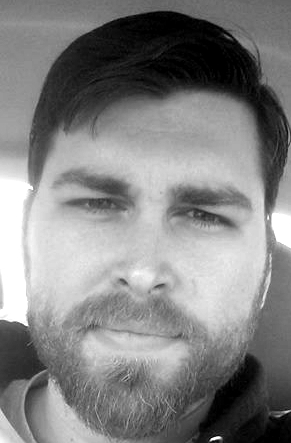 I primarily write dark fiction, cosmic horror, science fiction with horror elements, and dark fantasy. I was raised on a healthy diet of science fiction, fantasy, and a fear of the unknown. Thanks to shows like Sightings and The Art Bell Show, I developed a mixed interest in the sciences and the paranormal. I live in Northern Virginia, where I spend time working odd hours and talking to my cat while I write my novels. I’ve been on Patreon for almost two months now, and three short stories have been funded so far! But, writing isn’t the only thing that I do. I also illustrate all of my covers. Let’s take a look at the covers I’ve made so far. The cover for To Dance on Her Digital Strings has bit of an 80’s vibe going for it. People have also said it reminds them of a William Gibson cover. 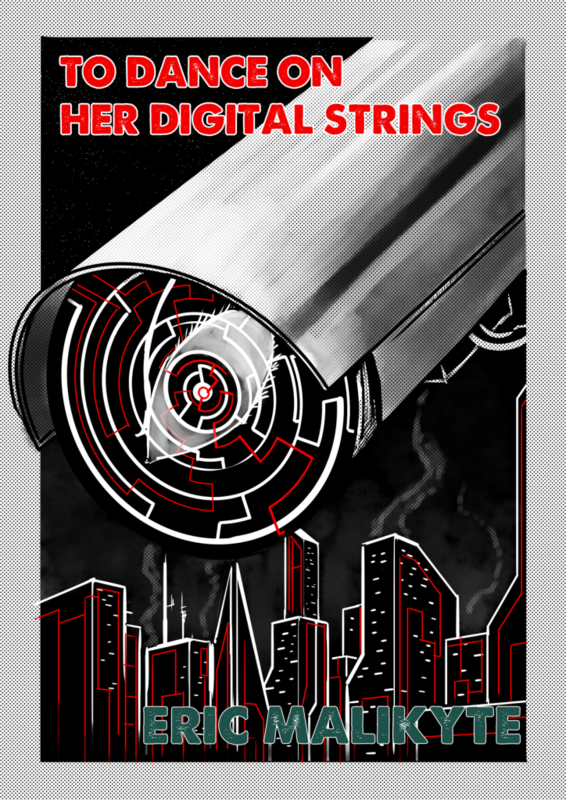 To Dance on Her Digital Strings is about a society that’s entirely controlled by an overbearing artificial intelligence. 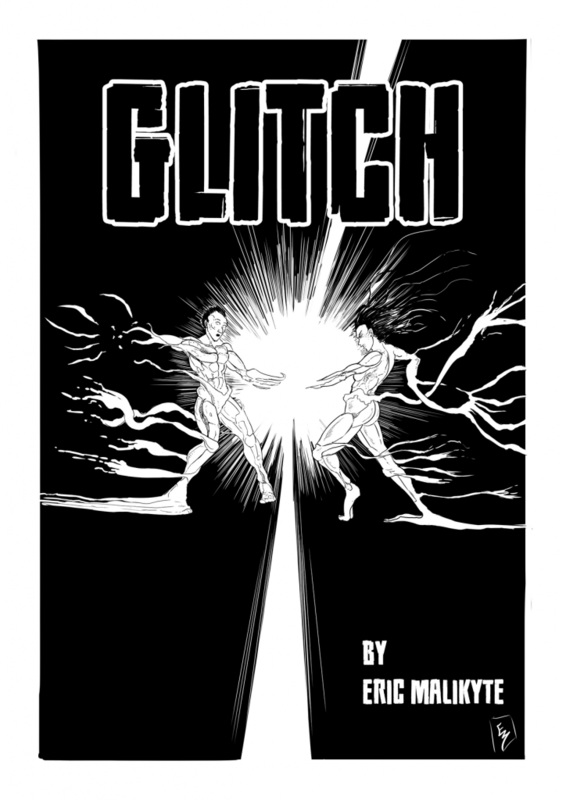 The cover to Glitch is the first one to be recorded with my DSLR. About an hour of footage is available for patrons to view, detailing my process. My art style has been influenced greatly by anime like Ghost in the Shell and Evangelion. When I was a kid, I caught Armitage III: Poly Matrix on the SciFi Channel. My fragile prepubescent mind was blown away by the cyberpunk visuals. Though, the movie’s not very good when compared to Ghost in the Shell and even other cyberpunk properties like Blade Runner and Altered Carbon, it still holds a special place in my heart. Glitch is all about ancestor simulations. 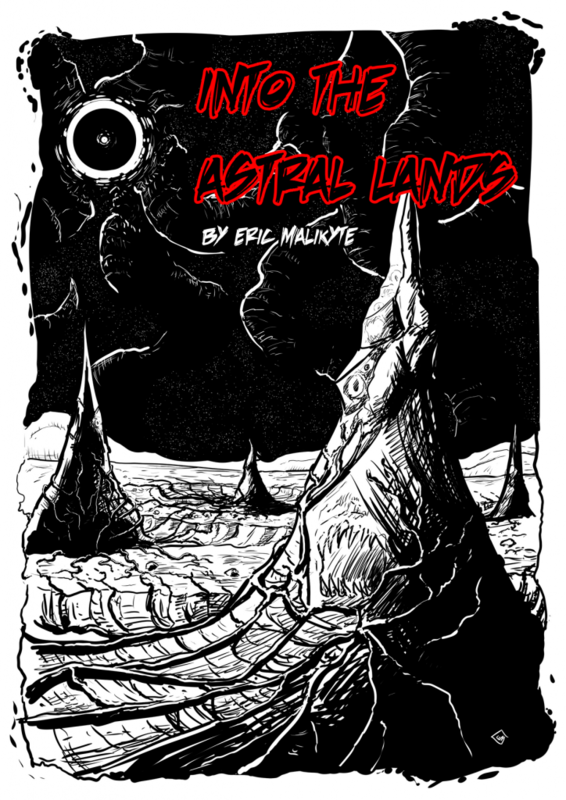 Into the Astral Lands may just be the flagship title of my patreon! It shares the same name as my podcast, and, you probably noticed that the cover details the same scene as my website banner. The story launches my dark fantasy/cosmic horror universe. There’s also about an hour of footage available for patrons to view! Into the Astral Lands is about a man’s struggle to hold onto his humanity when faced with the truth of entities beyond time. I just wanted something heavy in contrast and creepy as hell for the cover. I think I achieved that. To learn more about Into the Astral Lands, click here. And, one of the fastest covers I’ve ever made. 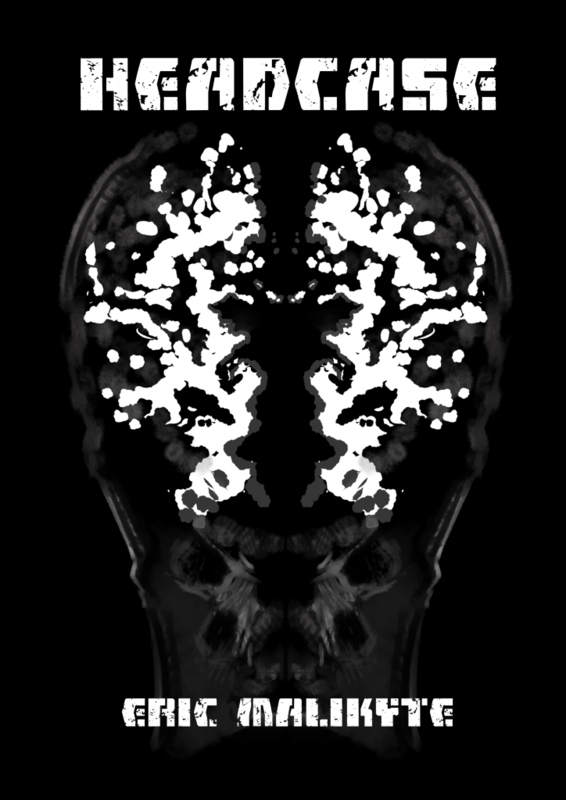 The cover to HEADCASE is meant to look like a Rorschach test and a brain scan simultaneously. There’s no footage for this one, because of how quickly I created it (under twenty minutes), but I think the design speaks for itself. To learn more about HEADCASE, click here. Be sure to share, like, follow and subscribe on Facebook, Twitter, and YouTube. 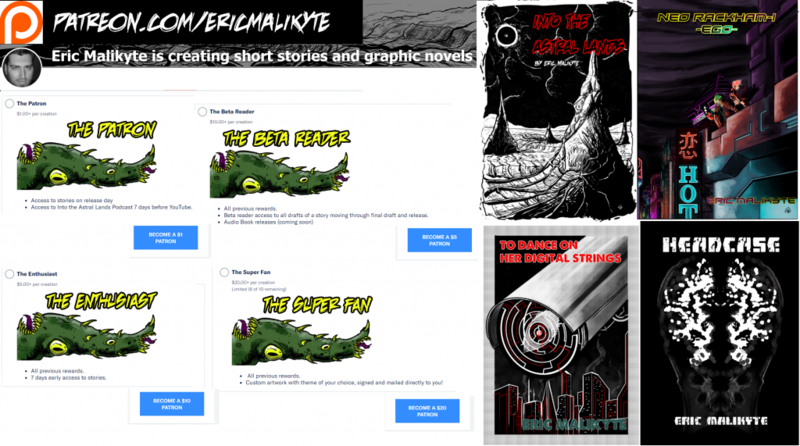 Support Eric Malikyte by Becoming a Patreon Member!